PRICE DROP FROM $13,995. Sisbarro Certified. SXT trim, Pitch Black Clearcoat exterior and Black/LT Tungsten interior. SIRIUS SATELLITE RADIO, RADIO: UCONNECT 8.4 MP3, Bluetooth, Alloy Wheels, RALLYE APPEARANCE GROUP, 8.4" UCONNECT TOUCHSCREEN GROUP, ENGINE: 2.4L I4 MULTIAIR, TRANSMISSION: 6-SPEED AUTOMATIC. SEE MORE! TRANSMISSION: 6-SPEED AUTOMATIC Underbody Aerodynamic Treatment, AutoStick Automatic Transmission, Active Grille Shutters, Tip Start, 8.4" UCONNECT TOUCHSCREEN GROUP 8.4" Touchscreen Display, Remote USB Port, Single Disc Remote CD Player, Glove Box Lamp, ParkView Rear Back-Up Camera, Illuminated I/P Surround, iPod Control, RALLYE APPEARANCE GROUP Leather Wrapped Steering Wheel, Fog Lamps, Dual Rear Exhaust w/Bright Tips, Touring Suspension, Rallye Badge, RALLYE Group, Black Crosshair w/Black Surround, Dual Bright Exhaust Tips, Rear Stabilizer Bar, Wheels: 17 x 7.5 Hyper Black Aluminum, Tires: P225/45R17 AS, SIRIUS SATELLITE RADIO Additional Subscription Fees Apply, For More Info Call 888-539-7474, ENGINE: 2.4L I4 MULTIAIR (STD), RADIO: UCONNECT 8.4 MP3. Bluetooth, Chrome Wheels Remote Trunk Release, Keyless Entry, Child Safety Locks, Steering Wheel Controls, Electronic Stability Control. 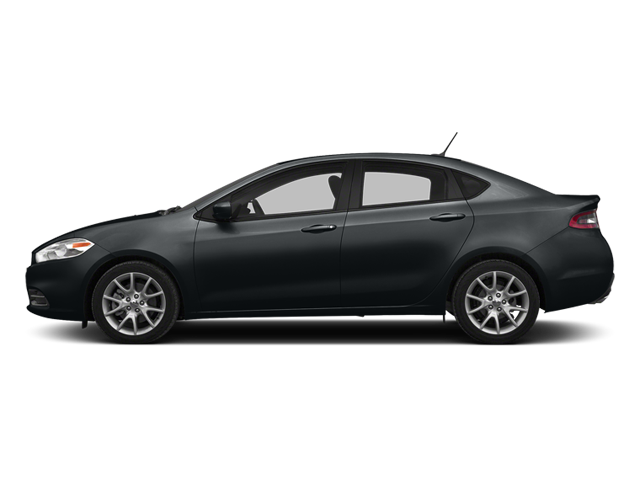 Hello, I would like more information about the 2014 Dodge Dart, stock# P16582. Hello, I would like to see more pictures of the 2014 Dodge Dart, stock# P16582.